If you can’t check out these places in person, you can at least visit them virtually—no flights or road trips required. 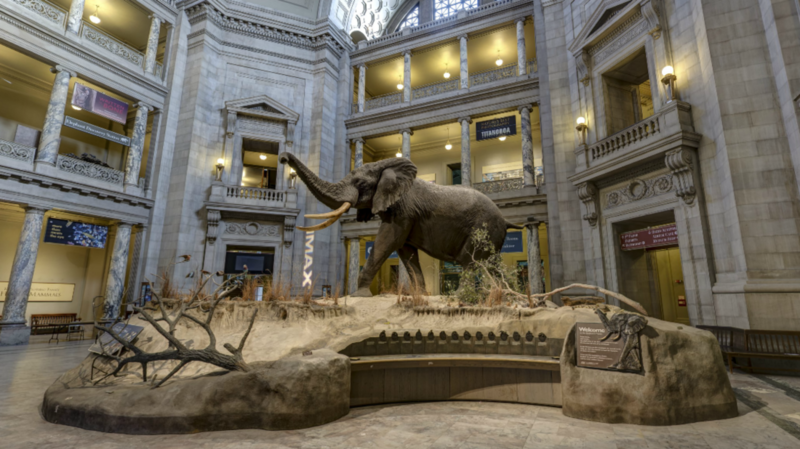 Learn where we’ve been by taking a look around the stunning exhibits at this Smithsonian museum in the nation’s capital. This look at the the famous Indian mausoleum is one of several Airpano flying 360 tours on this list. The U.S. Capitol was completed in 1800, but it still seems to be in a constant state of construction. This virtual tour is a great way to see the landmark, and it's always scaffolding-free. Getting to the top of the iconic Parisian landmark has never been so simple. Click on the different vantage points at the bottom of the page to get a killer view—then click on numbered buildings in the distance to learn more. From this page you can choose several different areas of the world-famous museum to explore. This page on the Vatican’s website allows you to click on any of several different locations and quickly go inside for a look around. Make sure your computer is muted if you don’t want to hear music. One place the tour of the Vatican doesn't include is the Sistine Chapel. Click here and look skyward to see Michelangelo’s handiwork. Get your kicks on Google Street View of Route 66. Are you not entertained? You will be as you click around this virtual tour of this ancient arena. This one isn’t a full 360-degree experience, but it still allows you to click on different levels and rooms of the Executive Mansion to learn more and watch videos about them. This aerial tour of Petra, Jordan starts at Al Khazneh, the stunning temple carved into a sandstone cliff. Fans of Indiana Jones will instantly recognize it as the location where Indy chose wisely. Drag the mouse around to get a full view of your surroundings. Click on one of the four Street View options to take a look around this ancient stone, uh, calendar? Jungle gym? Graveyard? Whatever it is, it’s interesting. If you can’t make it to New York City, you can pay your respects in the meantime by taking the virtual tour here. Survey the awe-inspiring achievement of the Great Pyramids at Giza from above.